The Office of Student Life aims to immerse students in professionally-grounded student activities that foster development through community engagement. 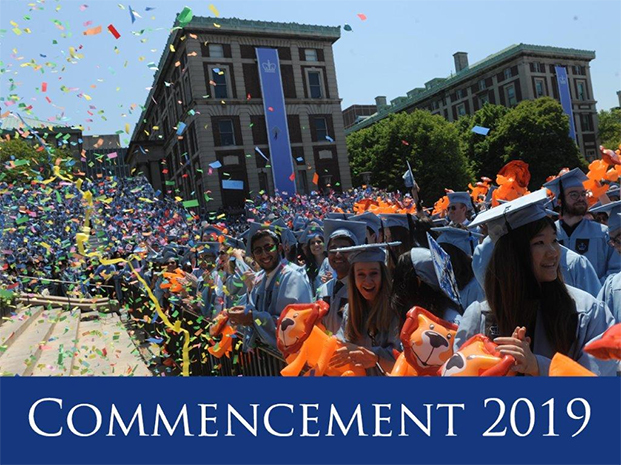 Our students are represented at the School of Professional Studies and at the Columbia University Senate. The SPS student governance group – SPSSG – and student organizations and clubs, demonstrate exemplary student leadership, commitment, passion, and industry engagement. SPSSG has a sub-committee called the President’s Council. The President’s Council is composed of the presidents of student clubs and associations at Columbia SPS. The goal of the Council is to brainstorm on new initiatives for the Columbia SPS community, to encourage collaboration between student clubs, and to communicate respective club and association programming to avoid event overlap. The Senate is a University-wide legislature, representing faculty, students, and other constituencies. It makes policy on a range of issues that affect the entire University or more than one school, including educational programs and priorities, the budget, academic freedom and tenure, the conduct of research, the libraries, information technology, Columbia's external relations, student sexual misconduct, rules governing political demonstrations, and the welfare of faculty, students, and research officers. Trustee concurrence is required for acts of the Senate. If you’re interested in running for Columbia SPS Student Senator or learning more about the University Senate role, please click here. If you’re interested in participating in the senate, but not as a senator, you can do so by joining different senate committees. For more information, click here. Another element of student life is the student club experience. These groups represent the many interests of the students at SPS and establish programming geared towards: professional development, social engagement, and academic enrichment. Our student clubs are a great way to learn more about industry and to connect with fellow students. University Judicial Board (UJB): This five-member University-wide hearing panel hears charges of violations under the Rules of University Conduct and provides sanctions. In addition to the five members there are 10 alternates who are called on should a member not be available. The 15 total members include five students (all nonsenators), five faculty members and five non-instructional officers (librarians, research officers and administrative staff. The UJB has had two student members in each year since its creation as well as a student vice chair. Early-fall, SAC issues a public call for applications, reviews the applications received and short-lists candidates for interview. Following a round of interviews, SAC's list of nominees is then submitted to the Executive Committee of the Senate for confirmation. All members are asked to serve a three-year term, but a number of new appointments are made each year as students graduate or study abroad. Interschool Governing Board (IGB): The Interschool Governing Board (IGB) was initiated by the Student Affairs Committee of the Columbia University Senate in direct response to the specific student concerns and expressed needs of student groups whose composition and mission do not fall under the immediate jurisdiction of already existing governing boards or individual school councils for recognition and funding by Columbia. The IGB is dedicated to supporting such student organizations in their efforts to bridge gaps between various academic disciplines at Columbia by creating a dynamic sense of community that facilitates multi-disciplinary programming and dialogue. The IGB is part of Columbia’s student government responsible for recognizing and funding student groups on campus not already covered by a school, program, student council or government, the Activities Board at Columbia, or the Student Governing Board. Our groups have a broad range of functions, including pre-professional, academic, competition, cultural, special interest, performance, publication, media, performing arts and large scale events.